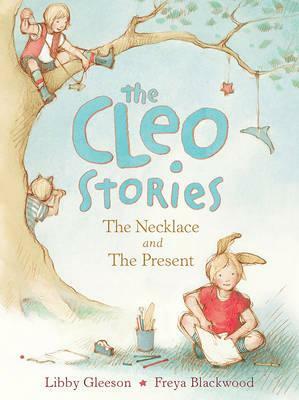 WINNER: CBCA Book of the Year, Younger Readers, 2015 Cleo desperately wants a necklace. Her parents say special presents are only for birthdays but Cleo doesn’t want to wait. In the second story, it’s her mum’s birthday and Cleo doesn’t know what to give her - until she has the best idea of all. Delightful, warm and irresistible, these stories show how a little girl with a big imagination can always find a way to have fun. Libby Gleeson and Freya Blackwood have collaborated on a number of much-loved and award-winning picture books, including Amy and Louis and Clancy and Millie and the Very Fine House. The collaboration of author Libby Gleeson and illustrator Freya Blackwood has produced some extraordinarily beautiful works, including Amy & Louis and Look, a Book! Their newest project, The Cleo Stories, is about an imaginative young girl and her world. Cleo’s house, her neighbourhood and her family and friends are all lovingly rendered with Blackwood’s pencil drawings. Cleo is a wonderful character, free-spirited and creative, possessed with all the open curiosity of childhood. Text and colour illustrations work in perfect harmony, such as when Cleo accidentally superglues her fingers to a bowl and a series of six images show the frustrating process of trying to get it unstuck. This is a gorgeous hardback that will resonate with readers aged 6 and up, or make a delightful present to be read and pored over repeatedly.